Landing the desired job is all about convincing hiring managers that you’re the most qualified and suitable candidate for the position. Let’s see what resume sections should be included in your resume, especially if it should pass Application Tracking System (ATS). Is It a Good Idea to Lie on a Resume? So, you’ve found a job position that seems perfect for you. Almost perfect. You have all of the necessary skills and good work history, but your academic degree doesn't meet the requirements. Should you apply anyway? Also, if you decide to send your resume to the employer, should you ignore the fact that you don’t hold the required degree? 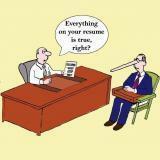 On the other hand, is lying about education on resume appropriate? 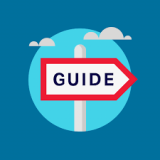 What defines a perfect resume outline? It`s most likely that you have written a resume at least once in your life, so you definitely know that this task is not the simple one. Creating a really good resume takes a lot of time, effort, skill and knowledge. However, when you start from scratch, you are to be aware of all the characteristics of an outstanding resume. Tell me, what was the last time you took a critical look on your resume? 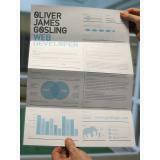 We all got used that resume is a one-page summary of all skills, qualifications, educational and working background. Chances are, this outdated and old-fashioned CV will never be considered for a job opening. Are you extremely excited as the job of your dream just got posted? Do you have relevant job experience? No? Fret not! Here are a few helpful tips to use when you want to sell yourself to an employer even when you don’t have enough experience. It is not longer than 6 seconds, when a professional recruiter decides whether to invite an applicant for an interview or not. Thus wise, one should really impress a recruiting person with the help of a resume. 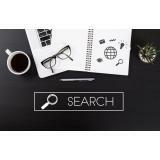 In the pile of various outlines, which cover the whole table of every HR manager, yours has to stand out of the crowd and that`s what resume writing services do. Spend hours working on your resume? 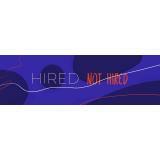 Want to get it noticed and land your dream job? But how can you get selected for the desired interview? Did you know that your outline can be minimalistic but stylish? Modern and colorful? Unique and simple? It`s your obligation to be aware of everything that can promote you as an expert. Remember that you`ll never have the second chance to make the first impression, so make a decent one! What is the best font for a resume? 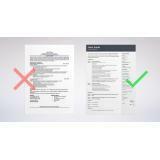 It takes 6 seconds for a recruiter to determine the future of an applicant, that`s why you need to be sure that your resume is easy-to-read, thus wise it has a perfect font. Even though you may think that it`s trivial and insignificant matter, top recruiters and career adepts say that a poor font can turn the focus off your achievements.